Cybercrime is one of the biggest threats since its introduction and it continues to evolve. One of the major reasons of rise in the attacks is lesser-focused cyber security. The motive of hackers to steal your personal and financial data. If we talk about the damages of cybercrimes, it has gone up from $250 billion to $400 billion in the last two years. No business, irrespective of the size are spared by the hackers. That’s why cyber security is important to ensure the security and safety of your business. In this post, we will talk about the need of cyber security & how to prevent data breaches. Certainly, cybercriminals are benefited with every targeting firm and person. With every attack not only, the firms are losing their funds, but this is also increasing confidence of hackers. If we talk about the recent statistics, the average cost of a single data breach for the wealthy organization is around £20,000. However, the real damage is not financial losses but the cost that will be included for remedies and fixing the reputation of the company. Besides the financial benefits, it takes years to overcome from the breach. When an organization becomes a target of cyber-attackers, the customer loses their trust in business and start looking for other available options. Hackers use sophisticated devices and tools to get in a company’s system or network. The more skilled and well-funded a hacker is, the more he poses a risk to a company. Also, the wide accessibility of hacking tools on the internet gives room to novice hackers to learn a trick or two. Read This to Know: How to Use Cybersecurity Awareness Training To Change Employee Behavior? Hackers are skilled and know their work in and out. They are using internet resources to get the most of them. They use prior data breaches information and gained all the required data. In fact, the previous data breaches provide an uncountable number of well-funded and coordinated cyber-attacks against the big organizations. If we talk about the big company, then Deloitte (world’s largest cybersecurity consultant organization) fell in the 2017 attack. It seems like invading the privacy of big companies seems to be a joke to hackers. To prevent these data breaches, companies need to work on the security measures, patchwork and hire professionals to do damage control, if in case any. Education system: grades, history, research information and credit scores. Health system: medical records, history and equipment. Financial systems: paychecks, loan and bank accounts. Government system: database, tax records, licenses, Social Security no. Communication systems: sensitive information, client information, email, contact numbers and messages. To prevent yourself and your company, you need to know about the attack and its risk. You can find the loopholes available in the security system of the organization and fix them with patchwork. 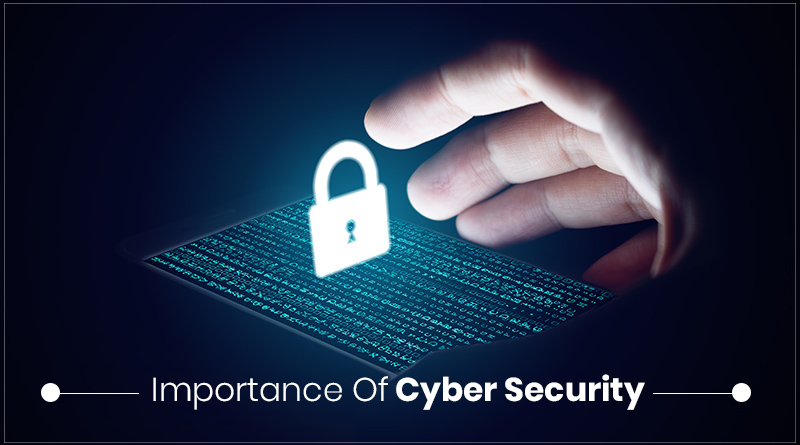 So, here are a few things that will help you to understand why cybersecurity is important and how to stay secure. Do not open an attachment that you’ve received from untrusted sources. Some of the attachments are created with the purpose to gain access to the machine. In fact, phishing emails are one of the biggest reasons for the hacker’s success. Never ever access an email that directly appears into the spam folder. Emails that you get in spam folder can be infected and hackers can trick you to get into your system. It is recommended to access the emails that you’ve received from known sources. You can rely on the effective antivirus or anti-malware tools that can protect you against malicious links, downloads and infections. Whenever you get pop-up messages on your screen that asks you to call because there is a virus on your system, then you need to ignore such messages. Hackers sometimes pretend like they are from some technical support and wants to help you regarding your system. It is not like all the technical support are bogus, some of them are legitimate companies that are working to provide genuine help. However, you need to stay alert while contacting one. Every business needs to fight cybercrime by strengthening the security of the business. You need to take proper security measures to stay protected against cybersecurity threats. You can hire a professional or IT department to work on the vulnerabilities. We hope to you will find this article useful and understand the need of cyber security.